I've had my Push-Pull Colpitts on the air now for about 3 weeks and 10 QSOs. 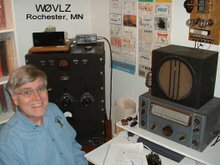 Notable QSOs have included my friend Lou, VE3AWA, in Ontario and W0NYQ, a fellow Minnesotan with a big interest in '29 rigs. This tranmitter is a keeper. Why? - Drift is measured in the 10s of hertz range. Essentially solid as a rock. - "Perfect sounding 1929 signal"
I did receive a report of a trashy buzz on my sidebands. Since then I've been more careful when adjusting the feedback and also the output coupling. I haven't had any other bad reports. I do still have some trouble with FMing/wobble due to the wind blowing around my antenna. 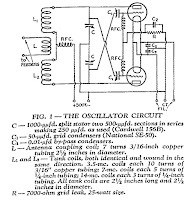 This is a common problem with '29 power oscillators. Whether this is an improvement over my other '29 transmitters, I can't tell. I haven't cleaned it up on 40 but I can work on that later. All in all, a really satisfying project. It is on the air! This evening I had a great 80 mtr QSO with my friend Lou, VE3AWA, in Ontario, 570 miles as the crow flies. He reported a perfect sounding '29 signal. 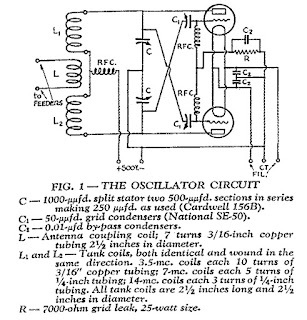 My Push-Pull Colpitts Power Oscillator is also amazingly stable. Even from a cold start it is on frequency. I plan to leave it set up next to my Novice Rig Roundup operating position so that I can put it on the air whenever I want to. Last night I completed the wiring of my Push Pull Colpitts transmitter. I ended up doing "bus bar" wiring. It gives a 3D effect and worked well for this design/layout. Between that and the wooden chassis this one feels like a '29 transmitter. Most of the parts are 40s vintage but, hey, they will be hidden under the chassis. This morning I connected power for an initial checkout. With 300V on the plates and about 20 watts input I'm getting over 10 watts out of sweet sounding RF on 80. The grounded tuning/tank capacitor effectively eliminates the detuning effect of hand capacity and I'm certainly not going to complain about 50% efficiency. Open circuit voltage across the key terminals is only 48 volts so that's good too. Next I'll clean up the operating position and finish my 40 mtr coils so that I can test it there. 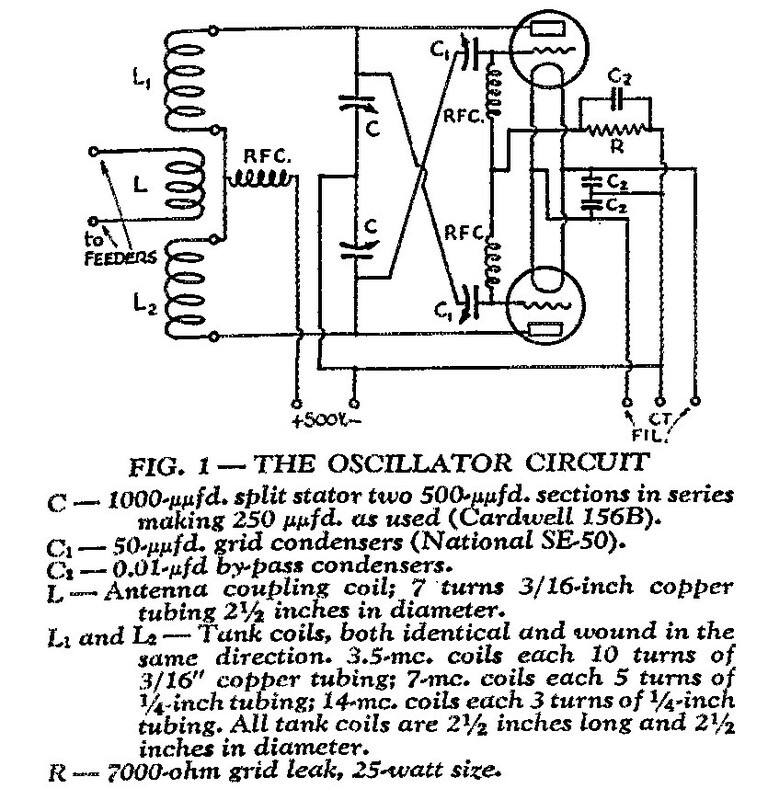 In between shoveling snow and chipping ice here in Minnesota (a common winter pastime and good way to catch up with the neighbors) I've continued to make progress on my push-pull Colpitts oscillator/transmitter. I've now got all of the above board parts mounted and wired (except for the filament and B+ connections). It is looking pretty impressive. Along the way I've found that Lowes here in Rochester has the best selection of brass nuts, bolts and screws while Albany County Fasteners has the best selection of specialty brass hardware like knurled nuts and wing nuts. Next I need to plan the layout of the small parts that mount underneath. I'm making good progress on my new transmitter. With a lot of help from my friend KE0EXE and his table saw I now have a nice looking oak base. I went ahead and shellacked it so that it looks pretty good. 3/16" copper tubing for the antenna link and 80 meter coil was not available locally so I have to go to Amazon for that but I did find 1/4" tubing for the 40 mtr coil at my local big box hardware store. I added a National type A vernier dial to the Cardwell tuning capacitor. This should help a lot getting on frequency. The next task is to find all of the screws, nuts and bolts that I need and then start fastening everything in place. parts under the "chassis" I should have on the shelf. Next step is to cut and varnish the base. 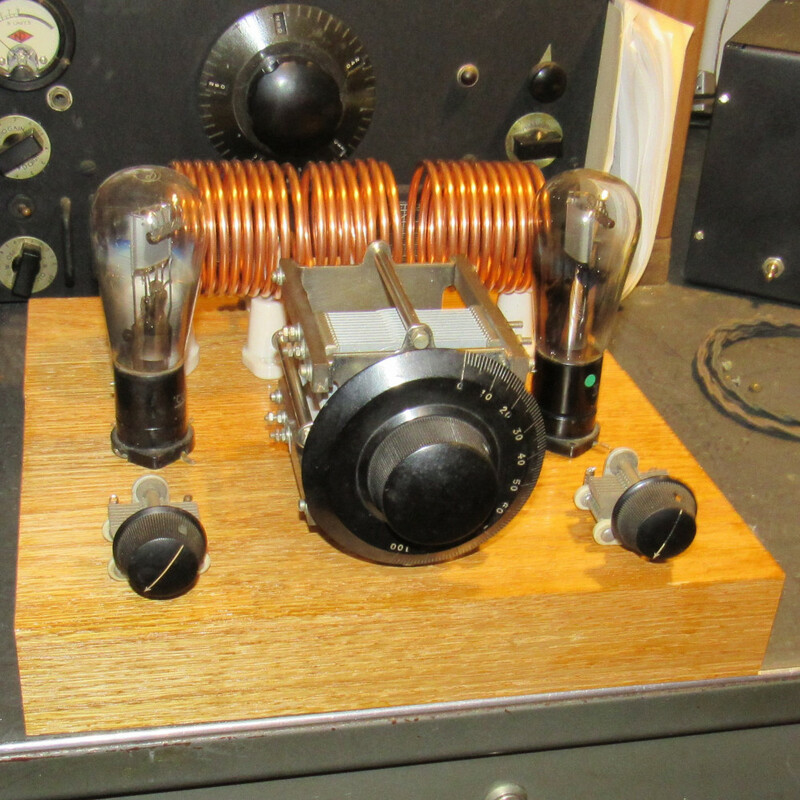 I’ve started on a new transmitter for the next AWA Bruce Kelley 1929 QSO Party. 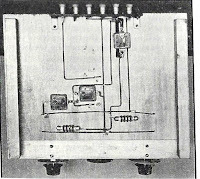 The “BK” requires non-crystal-controlled transmitters that are of 1920s design and use tube types that were available in 1929. 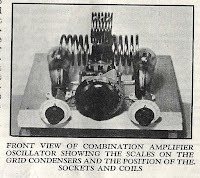 I found a transmitter described in the January 1934 issue of QST that meets these requirements. For a good over view of the transmitters built to be used in the BK take a look at VE7SL’s gallery page at https://qsl.net/ve7sl/29gallery.html . Of the 65 transmitters 48 are either Hartleys or TNTs. The next one in the list was the TPTG with 9. Only 2 were Colpitts. 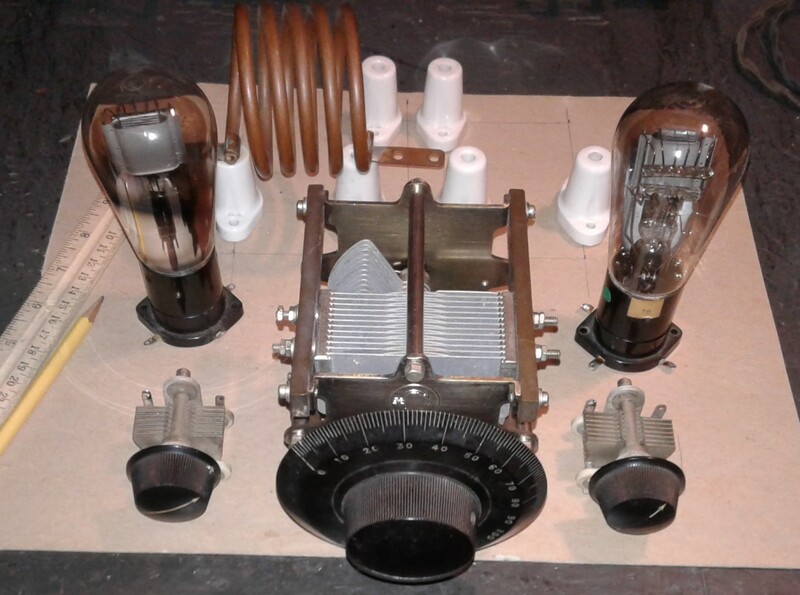 I have TNT and Hartley transmitters for the BK and a TPTG is a lot like a TNT so building a Colpitts for the BK sounds like a good next choice. This will round out my 1920s “big three”. Antenna coupling to the non-plate portion of the tank coil. The more common link coupling to the plate ends of the tank coil results in more second harmonic output and less frequency stability when the antenna is tightly coupled for maximum output. Center/swinging link coupling should be an improvement. Push-pull tube capacitance in series. Temperature changes within the tubes that impact the interelectrode capacities will have less impact on frequency stability. 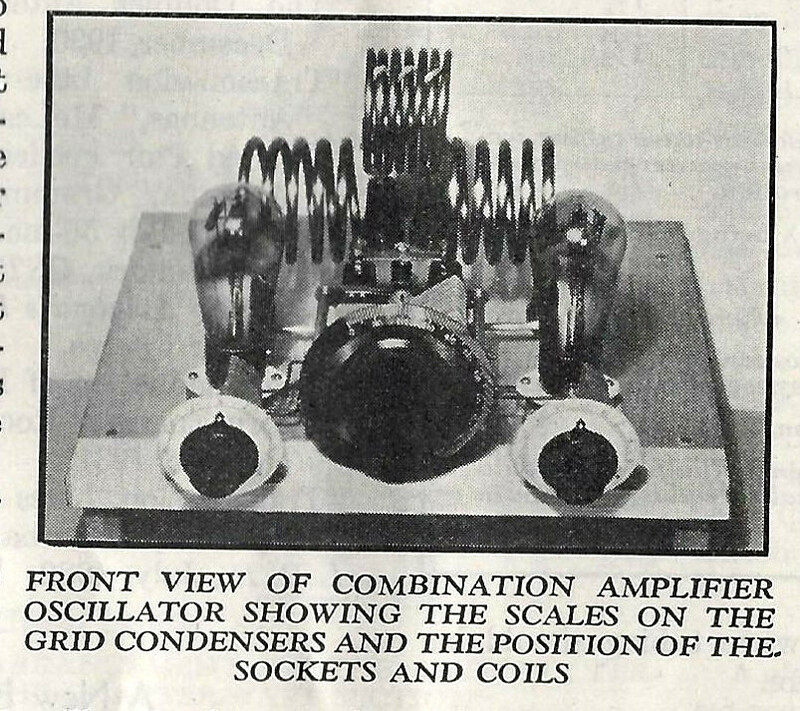 This configuration also reduces the amount of current through the tubes. 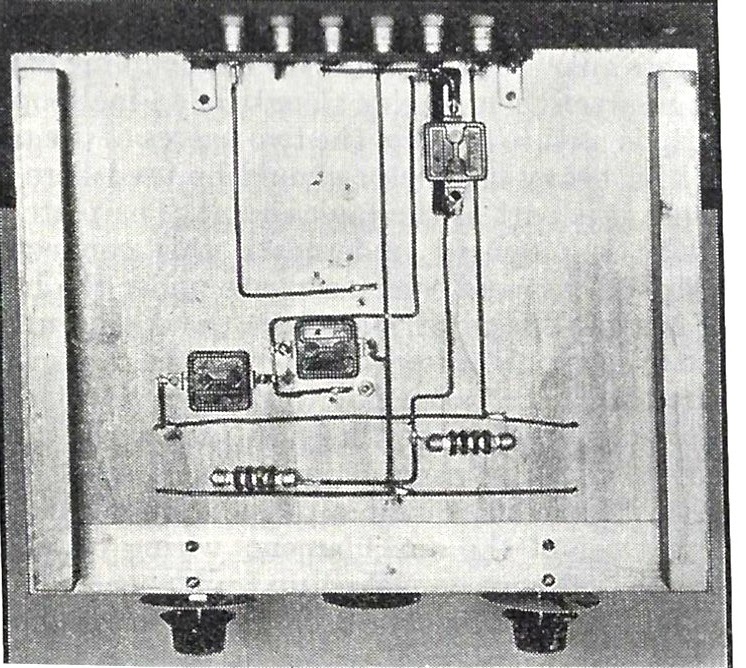 Grounded tuning capacitor body. In this design the tank tuning capacitor body provides shielding so that hand capacity has less of an impact on frequency. This transmitter should be easier to get on frequency. Easily converted to an amplifier. If I decide to move on to a MOPA BK rig this will be one section that I already have. Now, may the parts hunt begin!